You know how much your kids love their summers at Hayground. 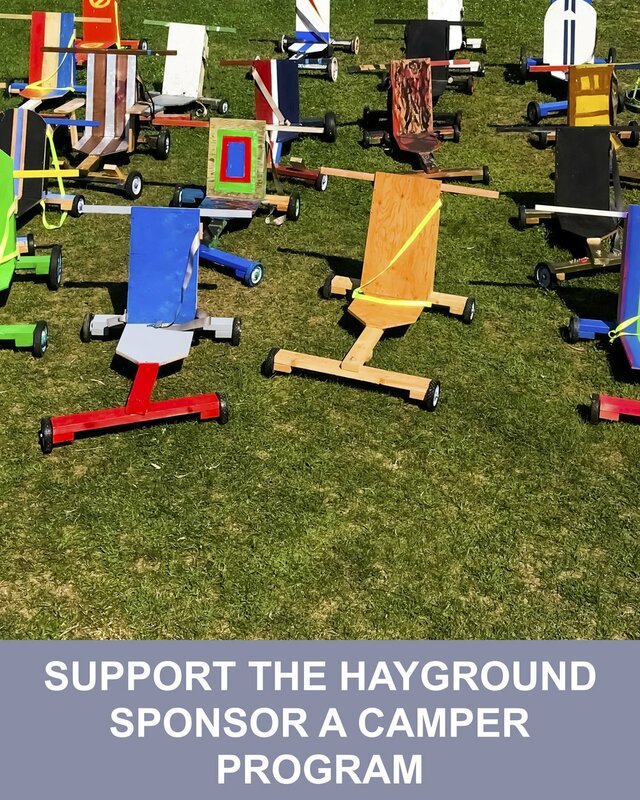 Share the Hayground Camp experience with a deserving local child. Please click here to donate, and thank you for your support! Bring the magic of music to our campers and help them to see and hear firsthand the joy of working with others doing something you love. Please click here to donate, and thank you for your support! Help us to give our oldest campers a chance to work in a collaborative environment and acquire the leadership experience and skills to be our next generation mentors. Please click here to donate, and thank you for your support! Provide our campers the confidence, sense of freedom, independence, and self-efficacy that comes with mastering bike riding. Please click here to donate, and thank you for your support!